Union County, NJ – The Union County Board of Chosen Freeholders is pleased to announce that 30 Union County trees are now registered with the State of New Jersey Big Tree Conservation Program. Most of the trees were nominated by Fanwood resident Dean Talcott, as part of the Union County 4-H Master Tree Stewards volunteer program. The Master Tree Stewards recruit new volunteers every year. All Union County residents are welcome to join. In addition to their role in habitat preservation, trees in urban areas improve air quality, ease storm water runoff, and prevent erosion with massive root systems that absorb rainwater and hold the soil around them together. By creating shade and releasing water vapor from their leaves, trees also reduce the urban heat island effect. Studies have shown that trees can reduce peak summer temperatures by up to 9 degrees Fahrenheit. Community beautification, recreation, and even property values are also linked to a healthy treescape. The Master Tree Stewards is an all-volunteer program dedicated to raising awareness about the value of trees. The program is run by the Rutgers Cooperative Extension of Union County, supported in part by the Freeholder Board. No experience is needed to join. Master Tree Stewards are trained and certified by experts with the Extension. Their mission includes visiting schools throughout Union County to provide free in-class lessons about the value of trees to fourth grade students. As one highlight of the Big Tree project, Union County now has five of the nine Northern Red Oaks listed statewide on the registry. The Northern Red Oak is the state tree of New Jersey. Other species in Union County that are now listed on the Big Tree registry include Horse Chestnut, American Sycamore, Katsura Tree, and Blue Atlas Cedar. The Big Tree Conservation program is run by the New Jersey Department of Environmental Protection’s Forest Service, which has been keeping a record of the largest trees in the state of New Jersey since the 1950s. Each tree on the list also has environmental and historical value. Among other recent projects, the Master Tree Stewards have also marked “tree trails” along walking paths in Union County parks. Visitors can look for trees tagged with a QR code and use their smart phones to learn more about each tree. The Rutgers Cooperative Extension of Union County is part of a nationwide program coordinated by the U.S. Department of Agriculture, aimed at enlisting volunteers to share fact based research with the public. The next Master Tree Stewards training classes begin this fall, including guided walks in local nature preserves. To register for the classes and for more information, visit the Extension on line at ucnj.org/rce or contact Union County 4-H Agent James Nichnadowicz at the Extension office in Westfield at 908-654-9854 (ext. 3) or email jnichnadowicz@ucnj.org. Photo caption: Union County’s volunteer Master Tree Stewards are dedicated to raising awareness of the important role of trees. 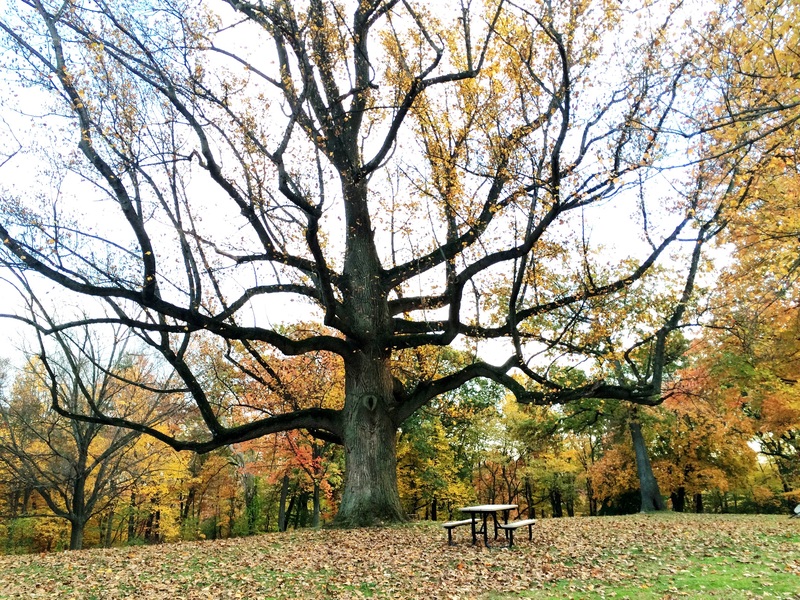 As one of their projects, this massive Tulip Poplar in Echo Lake Park will be included in a state registry. Any Union County resident can join the Master Tree Stewards. For more information visit ucnj.org/rce or contact Union County 4-H Agent James Nichnadowicz, 908-654-9854 (ext. 3) or email jnichnadowicz@ucnj.org.